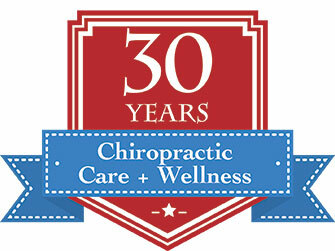 With over 30 years and 20,000 case files, Budincich Chiropractic has the experience to treat you and your family for lasting results. In the west San Gabriel Valley, we're conveniently located just off the 210 Freeway on Hill Avenue, across from Starbuck's near Tommy's. Whether you're experiencing a "pinched nerve" in your neck or lower back, migraine headaches, disc herniation, spinal stenosis, auto or work injury or sciatica, Budincich Chiropractic can help. From your first consultation, we carefully listen to your history and past experiences to customize treatments based on your diagnosis and sensitivity. Therapies available include multiple adjustment techniques, heat packs, hydrotherapy, massage, ultrasound, diathermy and Pulsed Electromagnetic Field Stimulator (PERF). Start feeling better on your first visit! Appointments are available late and weekends-to fit your schedule. We are open 6 days a week. Emergency? Call us! We often have same day appointments available.
" Dr. Bud makes you feel great...he educates each patient on why chiropractic care is a necessity for the healing process and a higher quality of life. The office is also very family friendly. Dr. Bud and his staff are great with kids...adjusting my first born at a very early age."